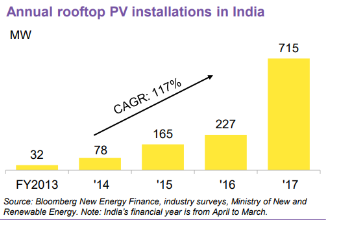 Continuously growing & geographically well spread out rooftop solar projects in India is in need of a quick and professional OMS services at its doorstep. 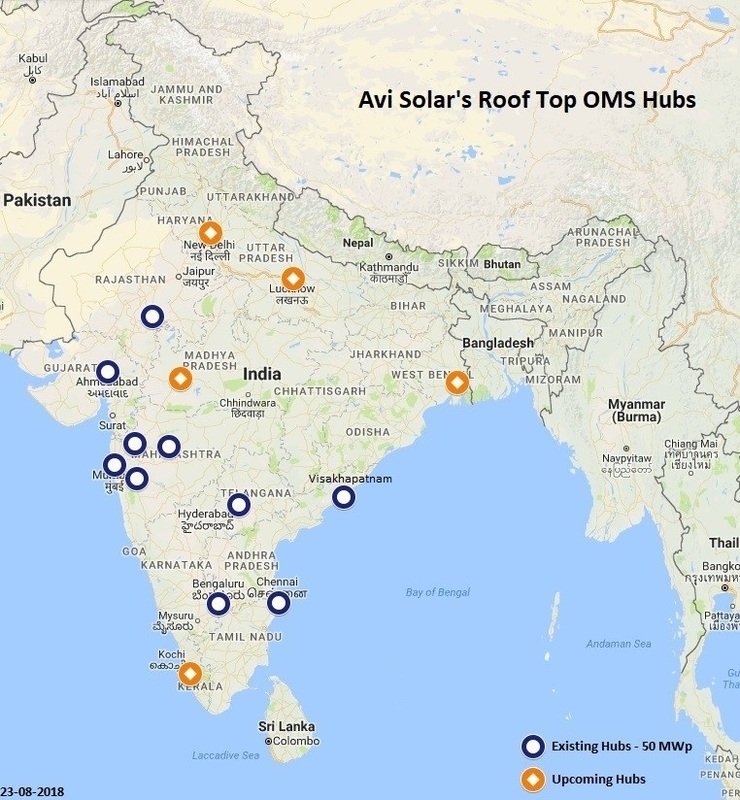 Understanding this need and leveraging its expertise and experience of handling O&M services for more than 700MW solar power plants across India, Avi Solar Energy has created its O&M hubs at different strategical locations with complete O&M resources to provide quick and professional O&M services for rooftop solar projects. Avi solar Energy is geared up to fully to provide professional O&M services for rooftop projects in its already existing and also in its upcoming rooftop O&M hubs as depicted below. Snail Trails on Solar Panels – an aesthetic issue or a performance limiter? 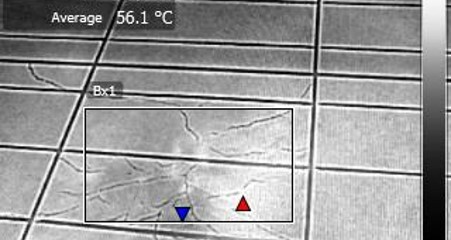 Snail Trails on Solar Panels– an aesthetic issue or a performance limiter? As Solar Plants age, Developers must reckon many problems. Modules do degrade over time and may underperform. Microcracks may develop as modules are exposed to the elements all through their life time. Some modules may inherently have had micro cracks from the time it was shipped and can extend over larger cross-sections during operations. Over & above thermal cycling can affect metal contacts, solder interconnections & causes thermal stresses in the module. This can have serious consequences and may result in catastrophic failure in the long term. 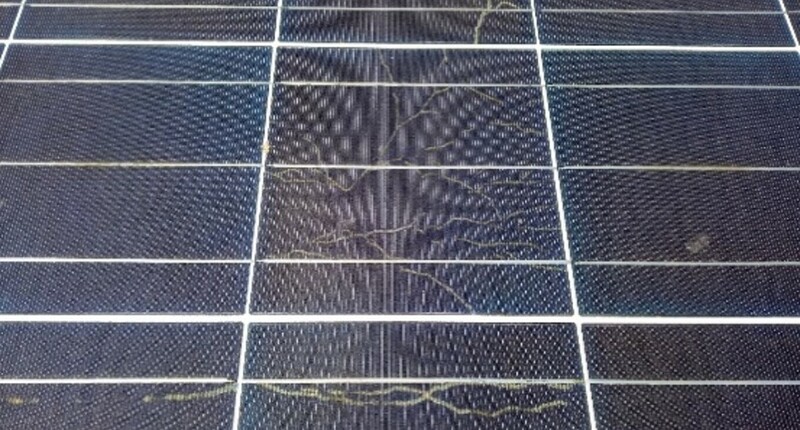 Since 2012 a phenomenon has been observed across many Solar plants, of small dark brownish lines or partial discoloration being caused on PV modules. These were termed “snail trails” and research started on its occurrence and the impact it can have on power generation. After studying patterns across many plants, it was broadly concluded that mere existence of snail trails by itself does not affect power generation. However, snail trails seen where micro cracks run across cells may affect power generation. Even this must be assessed to be sure. Snail trails are discolouration of the panel, which usually builds up over couple of years of power production on the field. Moisture can enter through the back sheet and diffuse to the cell surface. Here the silver from the grid contact fingers may get dissolved and the silver ion migration to the EVA (Ethyl Vinyl Acetate) foil encapsulation can set in the snail trail formation – mainly Silver nanoparticles showing a typical brownish colour. It has been ascertained that this discolouration happens due to the formation of silver acetate, that is synthesized by silver carbonate (Ag2CO3) originating from the reaction of Ag ions and carbon dioxide and acetic acid that originates from the degradation of the EVA encapsulation. The effect of this reaction is that it can reach the front of the panel from the back and causes a chemical breakdown on the front of the panel of the grid fingers. 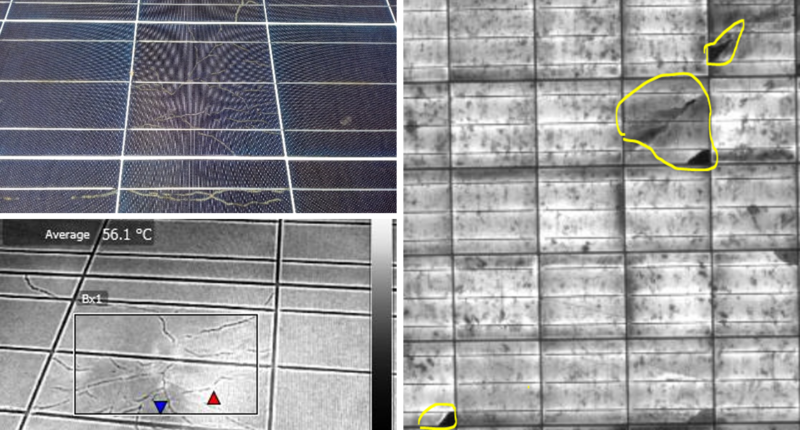 This becomes visible as snail trails and was possibly thought to bring in a reduction in the panel’s performance as it can cut irradiance if these trails run across the cell. Though it is not true it is surely an indicator for cracks within the cells. The snail trails are almost always located at cell edges or along micro cracks that can run across the cells in the panel and these are ones that can possibly lower power production. So, it is more of chance that the cracks are deep enough that may result in more stresses building up and thereby a deterioration in performance by creating potential hot spots. 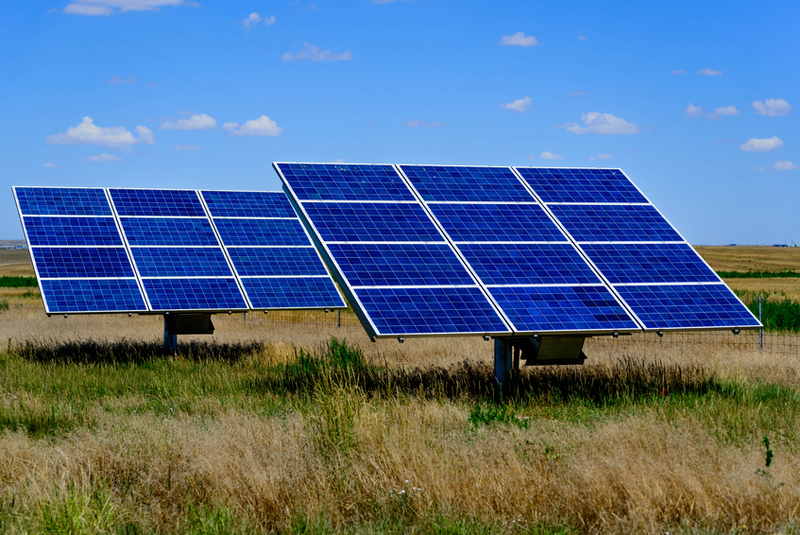 In view of the perception that snail trail affected modules can have adverse impact on generation, Developers are a worried lot that the solar plant should not affect their Return on Investment (RoI) and reduce the life of the modules. It is better to ascertain the impact by conducting tests on samples of snail trail affected modules. 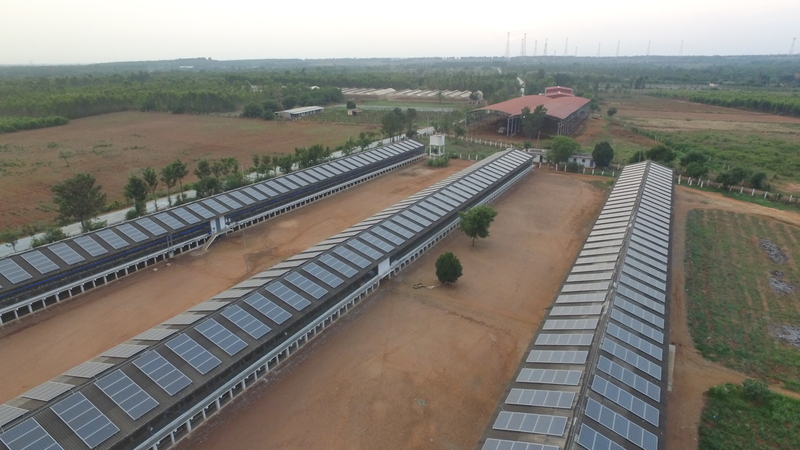 Some field studies were by Avi Solar technical team on limited sets of snail trail affected modules at a 4-year-old Solar PV plant. Thermal Imaging of Snail trail affected modules was conducted to check whether the temperature difference between front and back side of the panel was higher in snail trail affected modules as against the unaffected modules. The temperature differences were found to be in the same range for affected versus unaffected modules. However, the chances of failure/ performance dip increase where snail trail modules have hot spots or a punctured back sheet. 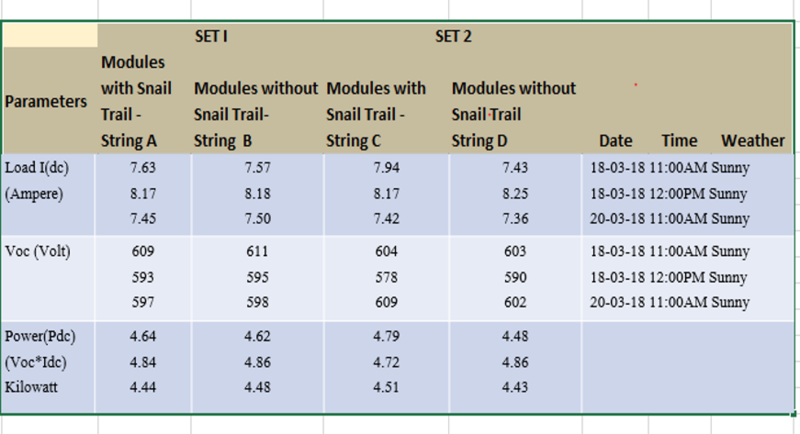 To assess performance differences between snail trail affected and unaffected modules the string currents were measured during peak generation time. Data is shown for two sample sets. The technical team recommended that one of the best methods to assess the impact of Snail trail affected modules is to carry out Electroluminescence (EL) tests to gauge the structure and depth of the microcracks within the module from the EL images alongside I-V characteristics of the modules. Some samples were taken for EL tests/I-V tests. The Fill Factor (FF) of one of the modules recorded a drop of 6% against data sheet specifications. Considering the age of the plant to be 4 years, a 6% drop in FF in one of the modules translates to an annual average deterioration of 1.5%, slightly above usual thresholds of degradation. This could possibly relate to the microcracks in the snail trail module affecting performance. The values of the Series resistance of the cell showed up higher for such affected cells than other unaffected modules. A clear picture will emerge after performing Electroluminescence tests and I-V characteristics tests. 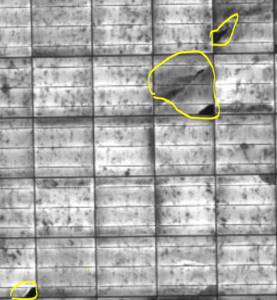 The intensity of the cracks, if any, can easily be seen and the Fill Factor data from the I-V tests will be an indicator of any performance dip or quality problems in the module. If the results match the manufacturer specifications or indicate minor problems, then it can be concluded that the performance aspects are intact, otherwise these affected modules are the ones to observe for deterioration in future. Another way to understand the effects of snail trail affected modules is to analyze the monthly plant generation recorded during the previous year and compare it during the same month in the present year. If the generation difference is <0.8-1% a year later under non-break down conditions and normalized to insolation levels, it is well within limits of degradation – very usual of plants ageing and the performance ratios dipping year on year. Otherwise, it can be gathered that the module degradation has set in for the affected modules. Preventive Maintenance includes routine inspection and servicing of all plant equipment. It is a necessary activity to prevent breakdowns and reduce energy yield losses. Following the Standard Operating Procedures (SOPs) and standard Checklists helps ensure consistency and quality of work. Condition based Monitoring involves monitoring of equipment condition and plant operation on real time basis and addresses potential problem at a very early stage to prevent breakdown. A significant change in condition can be indicative of a likely fault that can occur. Corrective maintenance activities begin in the event of a fault. 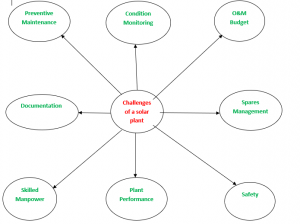 The goal should be to clear the faults and restore operation of the equipment within the limits of contractual Plant availability. Minimum budget within which to manage the smooth operations of a solar plant is one of the biggest challenges. Here the site management strategy should be comprehensive for a better performance minimum cost along with customer satisfaction. To maintain the record of each activity at the site and provide this information on time without any delay to the client. This is one of the best practice in O&M services. Inventory management system is one of the best ways to track stock, warranty, and spares maintenance to ensure smooth operations in a plant. Skills Training is most important for improving workmanship and a productive work environment. When working at a Project site, it is in the interest of people and property to maintain the safety protocol and use (Personal Protective Equipment) PPE’s and the right methods during the work for protection from any kind of hazards.